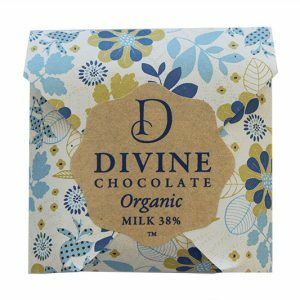 Beautiful organic chocolate crafted with care in New Zealand so you can enjoy a Divine moment. The ingredients used are gluten free. Cacao 38%. Cacao beans. Evaporated cane syrup. Full Cream Milk. Cocoa Butter. Soya Lecithin.